Published by Convulsive Editions in 2018. 32 pages. 4.75 x 8”. 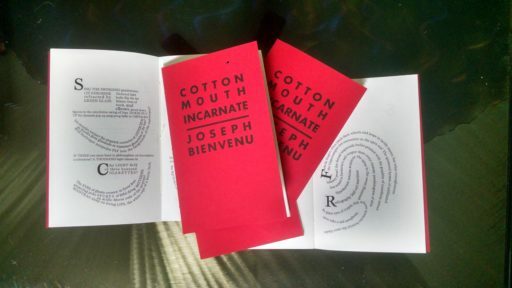 Letterpress printed covers; hand-bound. Edition of 200. 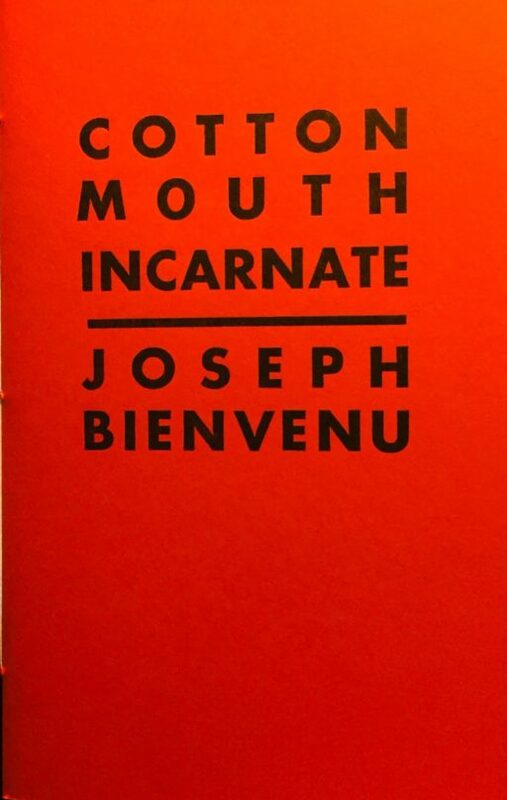 In Cottonmouth Incarnate Joseph Bienvenu pilots the visual poem into the unknown. The dazzling poems in this book elude trodden representations of everyday life and soar with lyrical emotion. 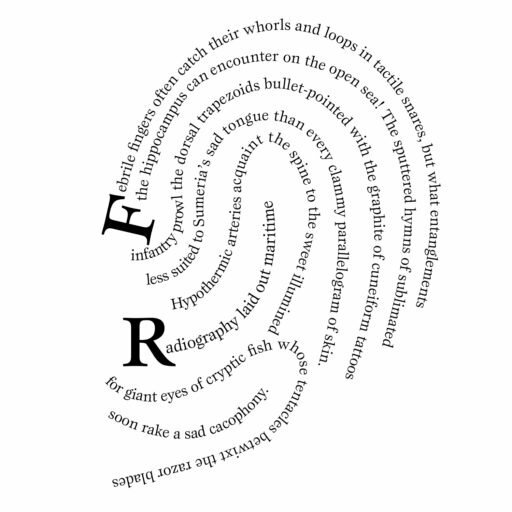 Furthermore, these cosmic-geologic explosions reverberate in Bienvenu’s typographic designs.